Ok, so in Sizing the Axle (Part 1) we found out how to determine the forces that act on the main axle. We want to determine the appropriate size for the main axle so that it doesn’t deform the main axle. W = 2*W*(1-cos(θ)) = 2048lbs. 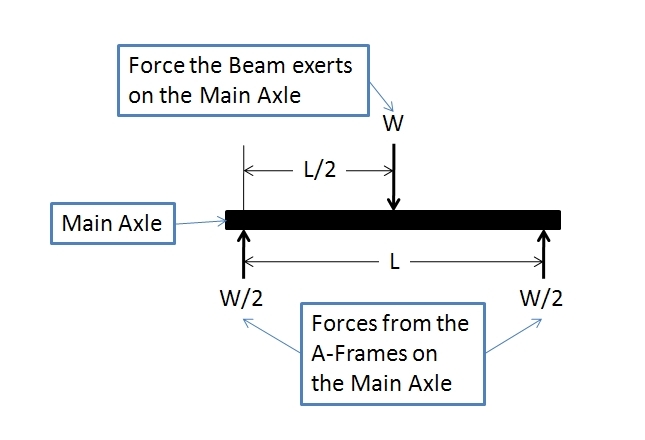 W is the load on the beam. Wait ….what? What does that mean? That doesn’t mean much to me. However it’s easy to find out. I is the moment of Inertia. 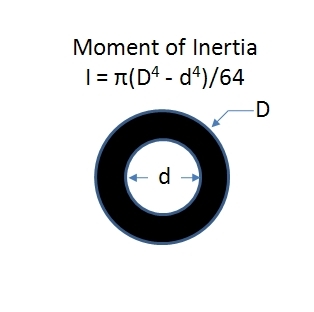 The moment of inertia can be found using integrals, but we are just going to find it in a book. See figure 2. So now knowing the inner and outter dimension we can determine the moment of inertia for our scavenged pipe. We know have all of the information to calculate the stress in our axle. Stress = -WL/4Z = -2100*32/4*1.788 =~ 9400 lbs/in^2 or 9400 psi. Ok, so we found out what the stress is in the pipe. The next step depends on the material that your pipe is made of. We know that it is some type of steel, but there are a lot of different types of steel out there each with there own mechanical properties. So we are going to use a very low grade steel. We are going to assume that the allowable bending stress is 30,000 psi. So the stress in the pipe is much less than 30,000 psi so we should be good, but we need to calculate what the safety factor is. I must say that the force on the beam needs to be readjusted to include the mass from the beam. However, we don’t have the exact number but we do have an estimate. I went ahead and recalculated the force and it comes out to be about 2400 lbs (rounded up). Stress = -WL/4Z = -2100*32/4*1.788 =~ 9400 lbs/in^2 or 10800 psi. That’s still is pretty strong. It’s important to have a large safety factor because you can’t account for everything! So be conservative in your calcuations. If your calculations don’t have a large enough S.F. pick a larger pipe size and start again, or use a very strong type of steel. So what this project is missing is two things. The first thing and most obvious is paper rockets. We’ll cover that later. 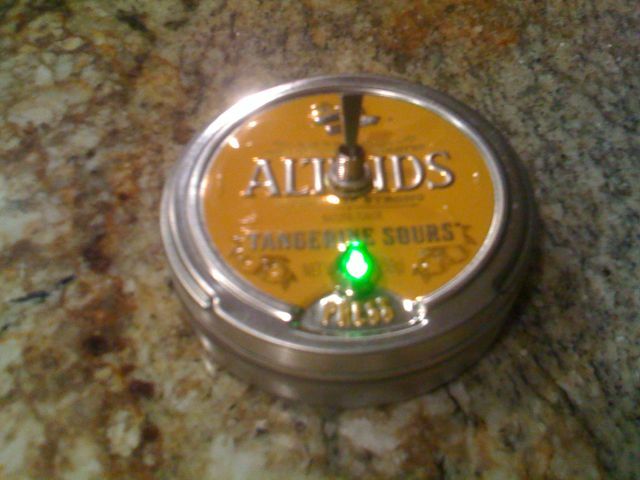 Right now I wanted to describe how to make a detonation box or the ignition switch. This is what the final design will look like. Note: The binding posts are not shown in this picture. That was thought up after the picture. When I get the chance I will update the picture and take some pictures of the guts. Compressed Air Rocketry is well….just that rocketry using compressed air. I got this idea from my friend Blakestradamus. He has build these before and is quite the wizard. He was going to build one for some cub scouts that were coming over to his house to investigate engineering careers. I told him that I wanted to build one and that we could be two for twice the cost! What a deal! I’m going to try and detail everything that I did to assemble the Compressed Air Rocket Launch Pad. All of the materials can be picked up at your local hardware store. They should have all of these parts, but if not you can alter the design to the parts that are at your disposal. 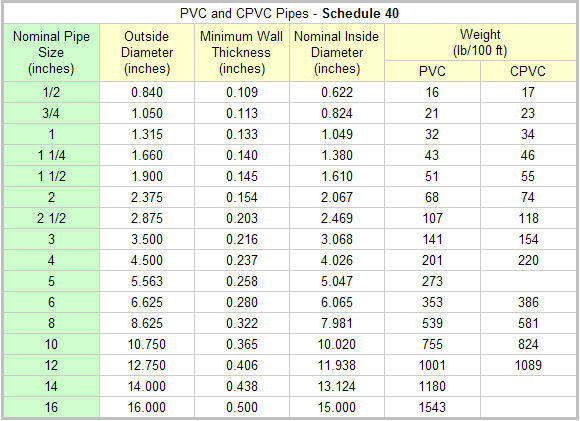 2″ PVC Tubing – about 5 feet. This will be cut into 3 different pieces. This piece is about 2 feet long.